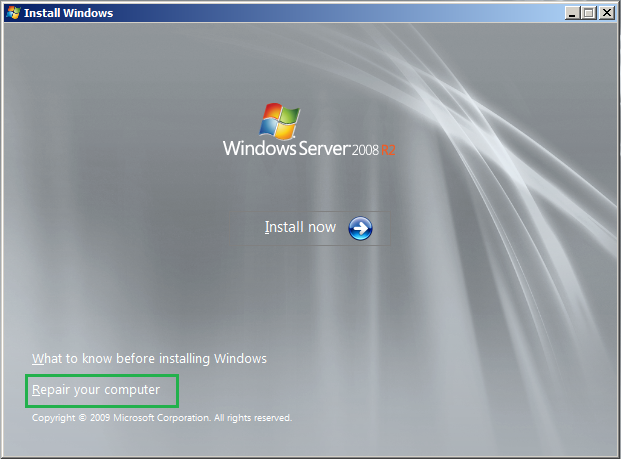 Bare metal recovery(BMR) is a restore option which has introduced in windows server backup 2008 servers. 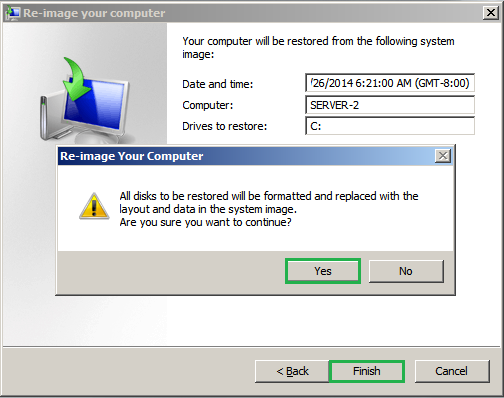 When you are using this restoration method, the backed up data is available in a form which allows one to restore a server from "bare metal", i.e. without any requirements as to previously installed software or operating system. 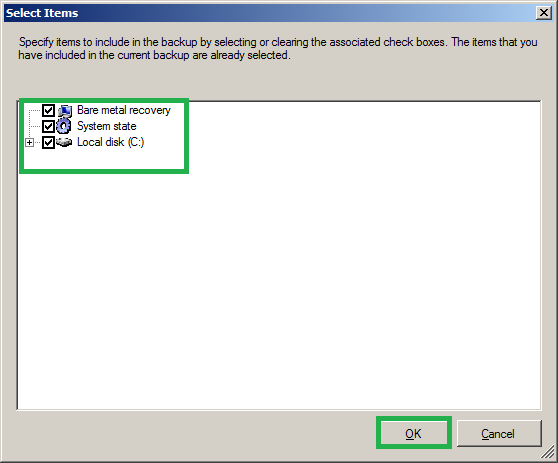 When you create a full server backup it will automatically includes the components for bare metal recovery(Including system state and all the local disks) . 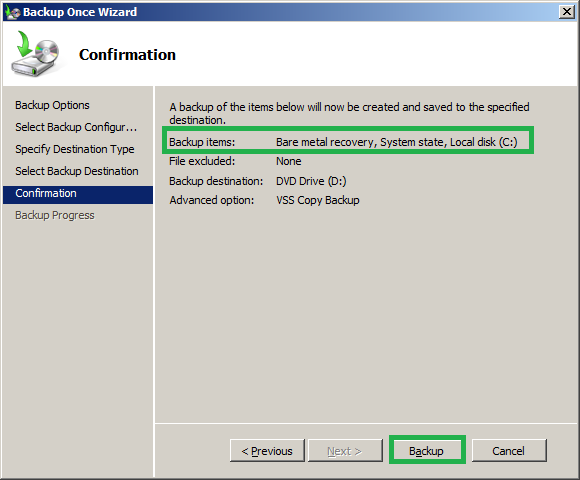 If its a custom backup make sure that when you select the bare metal recovery option, you will have to select system state and all your disk drives as well. BMR typically only protects the operating system drive by default, this means if your server has multiple disks you will need to protect the data on those drives as well. It is also similar to System State in that it contains the components needed to get the operating system. The key difference between imaging a server or having the System State backed up on a server is that BMR can restore like an image but to dissimilar hardware. This means you can take the BMR and restore it on an entirely different hardware platform from the platform the server was originally running on. The backups can be restored to entirely new hardware. It is faster that the manual backup process. It saves a lot of administrative efforts during a disaster as all the settings/ configuration remains intact and the trouble of re-installing individual software , operating systems manually can be avoided. Let us consider the scenario that I need to perform bare metal recovery of my second server(server-2)and the backup is saved on another server(serer-1). 1. Make sure that your backup is capable of performing bare metal recovery. Add item this in custom backup or full backup. 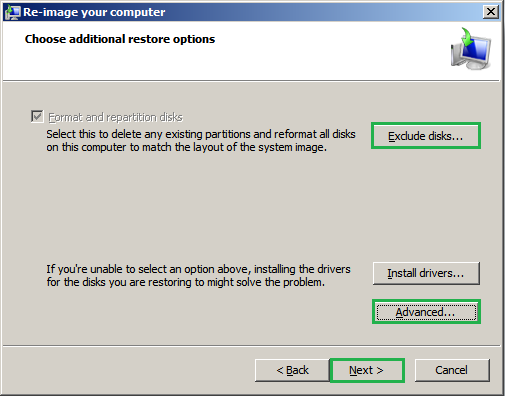 You can perform the bare metal recovery only if you have the backup with any of the below option. 2. Insert the operating system installation media into the server CD drive and boot from CD. You will have to select the language that you would like to continue, Select the desired and click Next. 3. 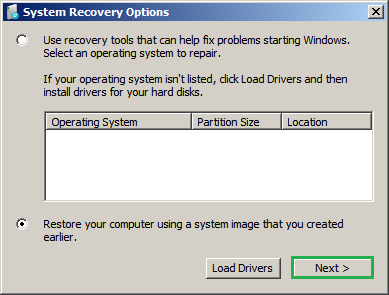 Select the option Repair your computer and now we will have the windows for bare metal recovery. 5. 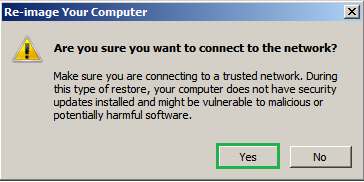 If you do not have the backups saved on your server's local disk or on a tape drive you will have the warning message as shown below, click cancel in the re-image your computer window. 7. 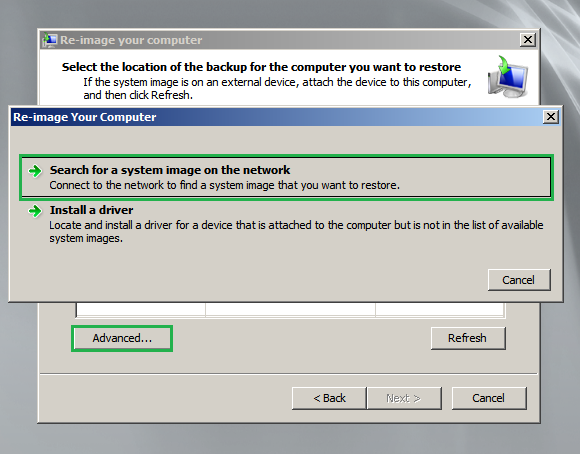 Click on Advanced button and select the first option Search for a system image on the network. 8. 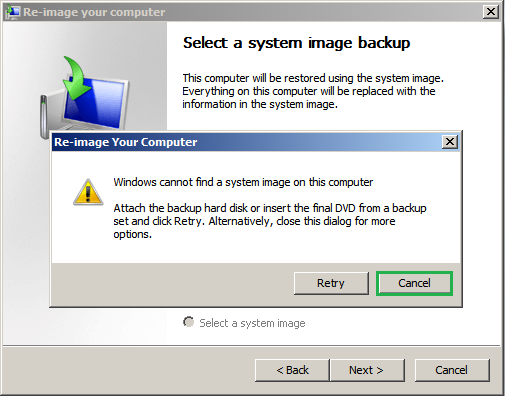 Click YES on re-image your computer window and network share name that the server's backup exists, Click OK .
9. 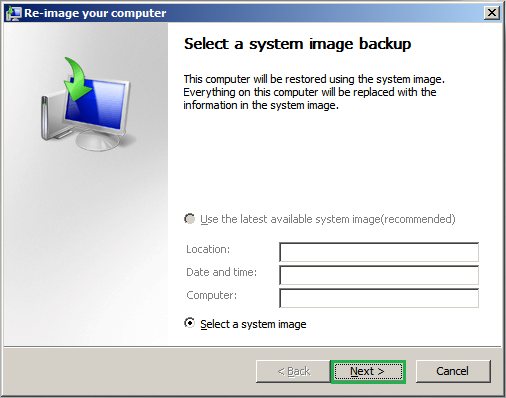 Type the user name and password to connect with the server and it will automatically detect the backup available on specified server(Make sure that the backup folder is shared on that server). 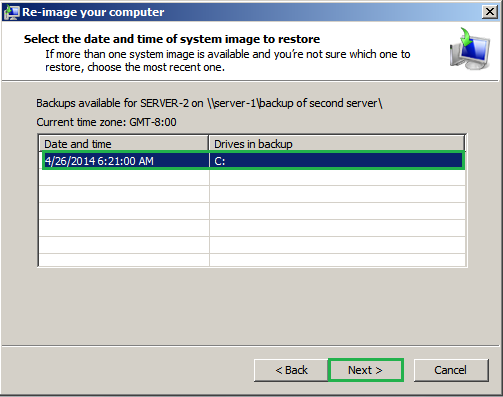 Select the most recent backup and it will enable the button to click Next. 10. 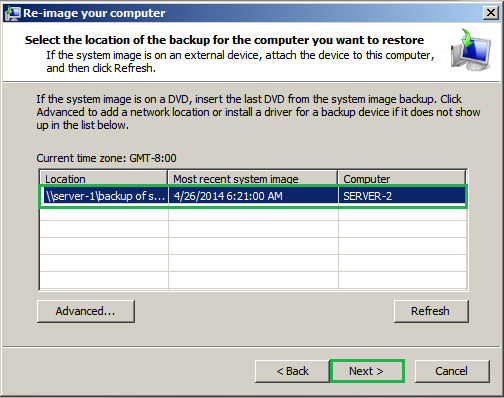 Select the date and time of the backup that you want to restore and click Next to continue. 11. You will have the below windows when the restoration process continues. 12. Once the restoration is completed it will reboot the server and you can logon as usual.